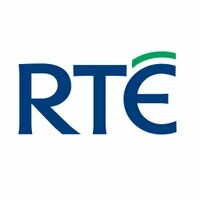 Morning Ireland is the breakfast news programme broadcast by RTÉ Radio 1 in Ireland and is noted as that country's most listened to radio programme. It is broadcast each weekday morning between 07.00 and 09.00 and is presented by Aine Lawlor, Cathal Mac Coille, Rachael English and Gavin Jennings. Occasional weekend editions are also aired on the occasion of major breaking news stories such as general elections, referendums or important news events.